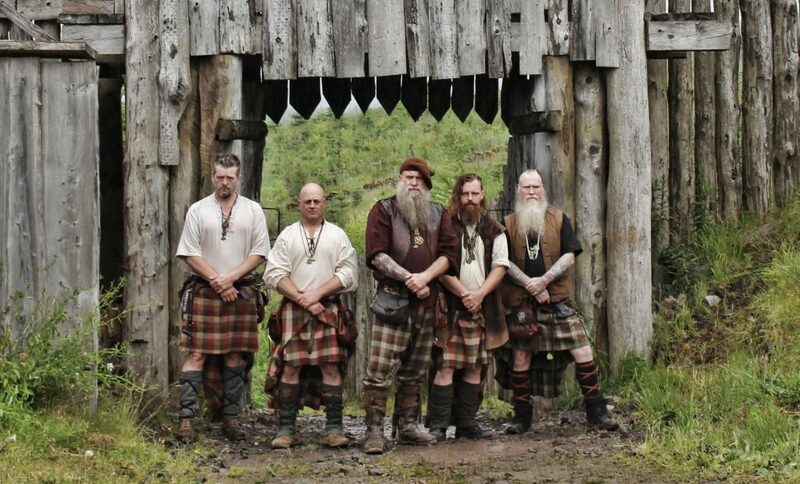 Saor Patrol (pronounced ‘shore’ and comes from the Gaelic word ‘Saorsa’, meaning freedom / liberty), Scotlands leading medieval rockband is from Central Scotland and Fife, the ancient Celtic Kingdom of Scotland. Those that have stood before Saor Patrol while performing live never forget the feeling of power the feed the crowd and the visual image of their live experience. The energy they share on stage and with their audience during a performance, with their vibrant pipe tunes and thundering drum rhythms please and excite many a crowd from all walks of life. The sound that they started with was referred to as “Tribal Rock”. When they added the electric guitar some said it was “Celtic Rock”. When they shared a stage at a rock festival in England with Motorhead, their sound was refered to by Lemmy himself as “The Motorhead of Folk”. However over the years their sound has evolved into what is now refered to as Scottish Medieval Rock. A sound you will not forget. Their sound is original and their own: Medieval Rock! And it delivers every time at breathless pace! Their story is unlike any other band. Some of the band members have appeared in many epic movie blockbusters like Gladiator, King Arthur, Robin Hood, The Eagle,Thor II and Macbeth even the latest Transformers 5, Outlander and most recently Outlaw King to name but a few. So these guys lead a pretty exciting and interesting life. Saor Patrols other mission is to promote at all times possible the Clan Clanranald Trust for Scotland and all its projects. Duncarron being among the flagships of educational experiences in Scotland. Don’t forget to check out their merch stall not just for goods but for information on their project and achievements.